A neonatal intensive care unit, known as an escalated mind nursery, is an emergency unit under the watchful eye of sick or untimely babies. Neonatal refers to the initial 28 long periods of life. Newborn care is available at Makker Hospital with NICU facility. A neonatal intensive care unit (NICU), also identified as an intensive care nursery (ICN), is an intensive care unit practicing in the care of ill or premature newborn infants. 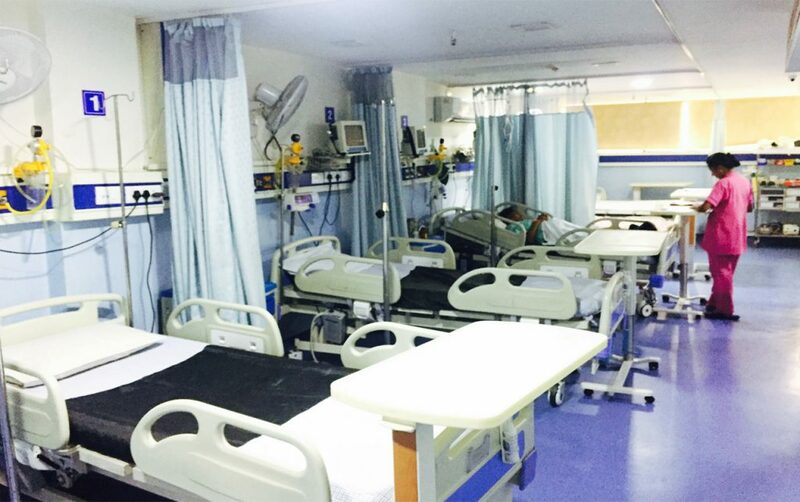 A NICU at Makkar Multispeciality Hospital is mostly supervised by one or more neonatologists and staffed by nurses, pharmacists, physician assistants, resident physician’s nurse practitioners, respiratory therapists, and dietitians. We at Makkar Hospital Make sure that Newborn care with all the facilities is there for your child to Enter safely in this World. Many other ancillary disciplines and specialists are available at larger units. By the 1970s, NICUs were an integrated part of hospitals in the advanced world. In India, some early units ran community programs, sending experienced nurses to help care for premature babies at home. But frequently technological monitoring and therapy meant special care for babies became hospital-based. By the 1980s, over 90% of births took place in the hospital. The emergency run from home to the NICU with the baby in a transportation incubator had become a matter of the past, though transport incubators were still required. NICU Specialist equipment and expertise were not possible at every hospital; however, with Makkar Multispeciality hospital NICU is a special with all the facilities for a newborn. We have trained specialist and qualified team in the sub-specialty of NICU. The Makkar Multispeciality Hospital, Delhi has best neonatal intensive care unit in delhi, best neonatologists, best paediatricians & advanced NICU facility in Delhi. Our Exert doctor’s and NICU team take care of the infants in incubators if needed, and also they make parents aware of the importance of breast-milk and the mother’s attachment to the child. Neonatal Intensive Care Units’ (NICU) at Makkar Multispeciality hospital look after the most premature, smallest, and most ill babies with all newborn care facilities. Therapies such as therapeutic hypothermia, prolonged mechanical ventilation, inhaled nitric oxide, neonatal surgery are usually provided at a higher level Units to all those newborn who fights for their survival. Some babies being cared for require less intensive treatment and will be looked after in HDU or SCBU nurseries on the same site. NICU specialist at Makkar Multispeciality hospital makes the parents aware about every careful and healthy upbringing of a newborn with all newborn care, to save them from any infection, breastfeeding, for some very premature infants, touching is extremely stressful. In these cases, doctors may recommend that you reduce physical contact but still spend as much time as feasible with your baby. Ask the doctor or nurses to figure out what type of contact and how much contact is good for your baby’s health. In Best Neonatal Intensive Care Unit in Delhi at Makkar Multispeciality hospital , we have all the equipment which helps your baby get healthier and stronger. Our Experts will guide you why, when, and how to start a daily routine of life with your little one, scheduling tips from experts, keys to success and more facilities are available for the Premature Babies.